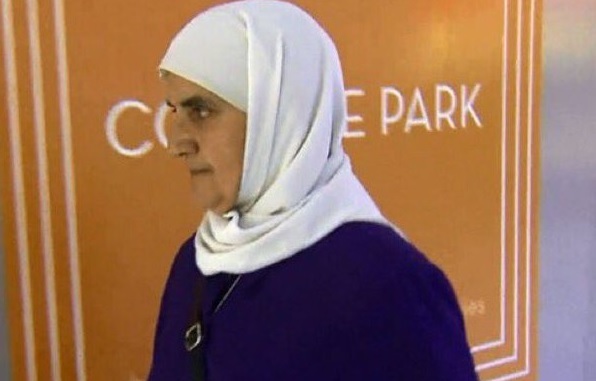 The Muslim woman who screamed, “Allahu Akbar!” during a knife in a Canadian tire store pledged allegiance to ISIS during her court appearance. Rehab Dughmosh swung a golf club in a tire store and then tried to stab employees with a knife. She pledged allegiance to Abu Bakr al-Baghdadi during her court appearance. A 32-year-old woman accused of assault and threatening people with a knife in a Canadian Tire store in the Toronto suburb of Scarborough on the weekend swore allegiance to the leader of the so-called Islamic State during her court appearance today. “I am pledged to the leader of the believers, Abu Bakr al-Baghdadi,” Rehab Dughmosh, is reported to have said in reference to the shadowy ISIS leader. Dughmosh made the statement without waiting for Justice of the Peace Alice Napier to begin proceedings in Toronto, reported CBC News reporter Stephanie Matteis. Dughmosh is facing seven charges, including two charges of assault with a weapon, assault, uttering threats, carrying a concealed weapon, and two counts of possession of a weapon for committing an offence, said Toronto Police spokesperson Cst. Caroline de Kloet.